Mark Wheeler and his brother, David, are part of a citrus legacy that’s been in their family for more than 50 years. While David spends lots of his time outdoors, Mark dedicates the majority of his efforts to the administrative side of the business: making sure that the amazing benefits of the oranges from their groves makes it to the shelves for families to take home with them. In fact, Mark says one of his greatest points of pride is seeing someone purchasing Florida Orange Juice. It’s not just because he and his brother played a role in bringing it to the shelves, but because they’re helping families experience the amazing benefits of Florida Orange Juice at their own table. 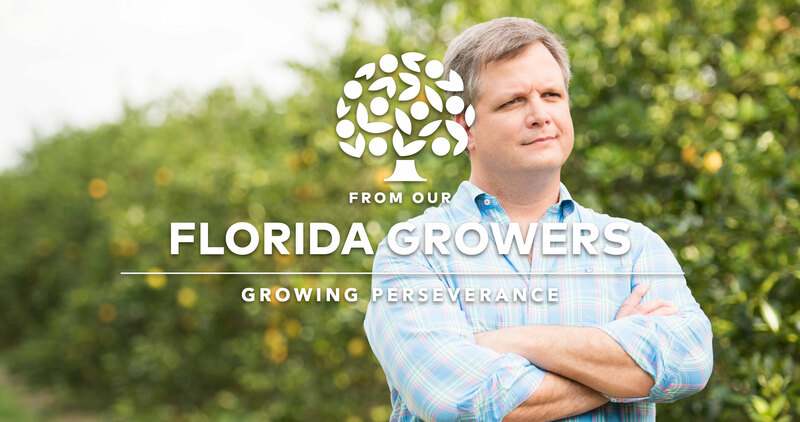 But Mark and David can also take pride in knowing they’re part of a community of resilient Florida Citrus Growers tackling the issues facing the industry. Through disease, weather, and other issues, Mark, David and the rest of the family have committed to making Wheeler farms a success for decades to come.